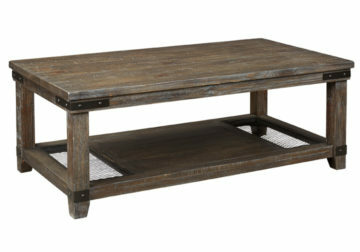 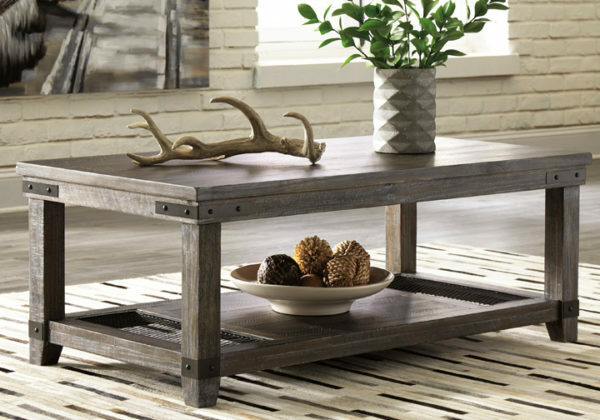 The Danell Ridge coffee table is so much better for the wear. Its clean, straightforward profile is enriched with solid pine wood treated to a complex finish melding gray and brown hues. Sporting iron-tone industrial brackets and a distinctive display shelf, it’s loaded with charm and packed with possibilities.